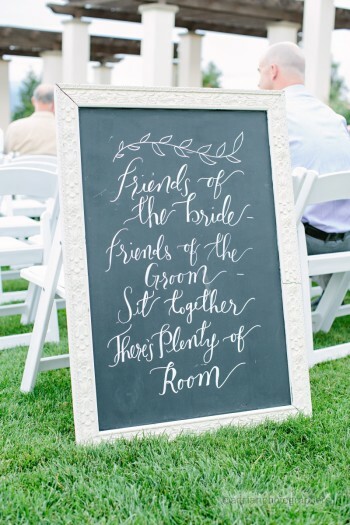 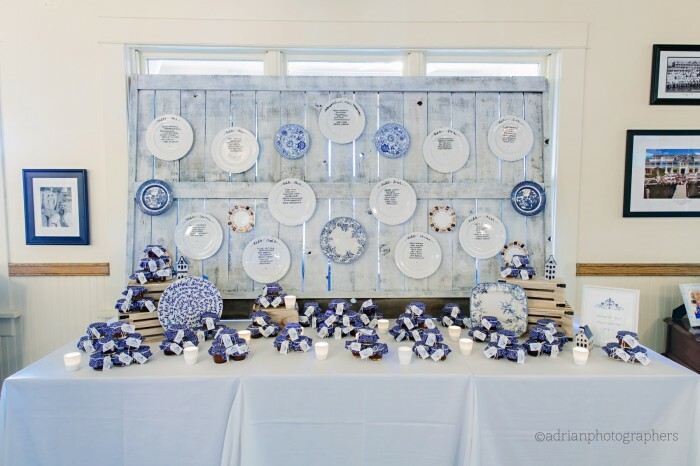 This one was a fun wedding to stylize and decorate. 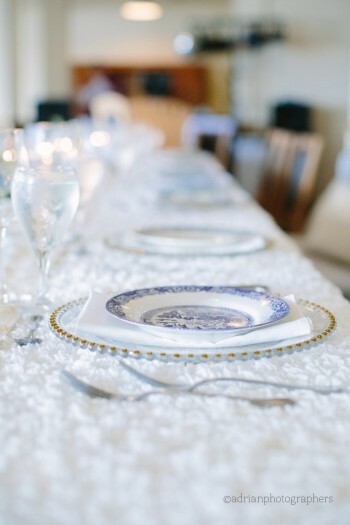 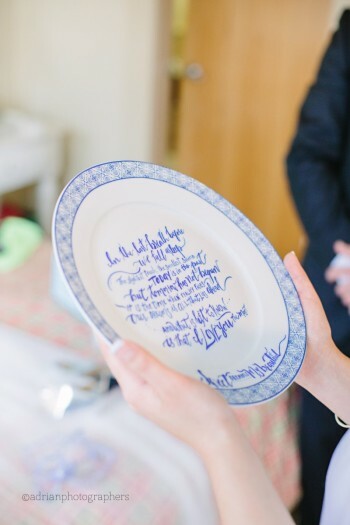 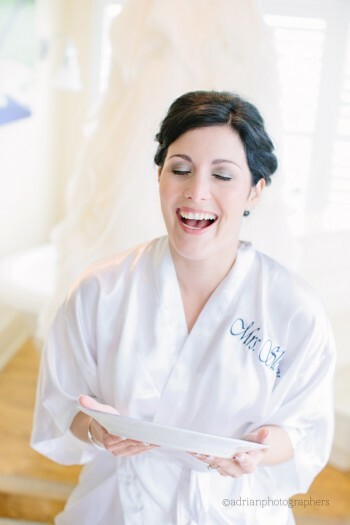 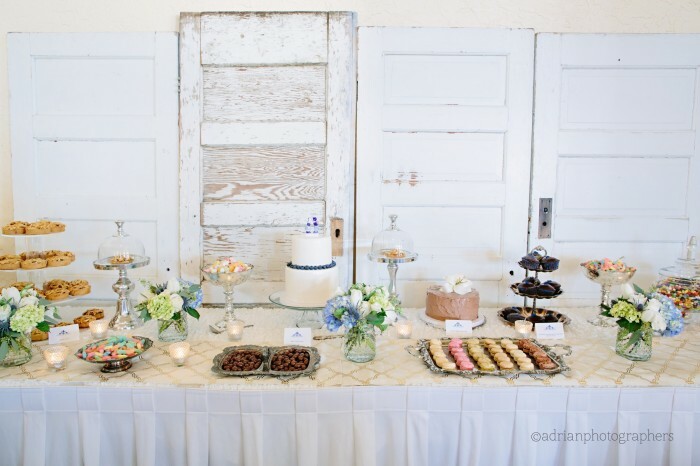 The whole wedding was inspired off of one family heirloom china plate that had been passed down within the family for 100 years. 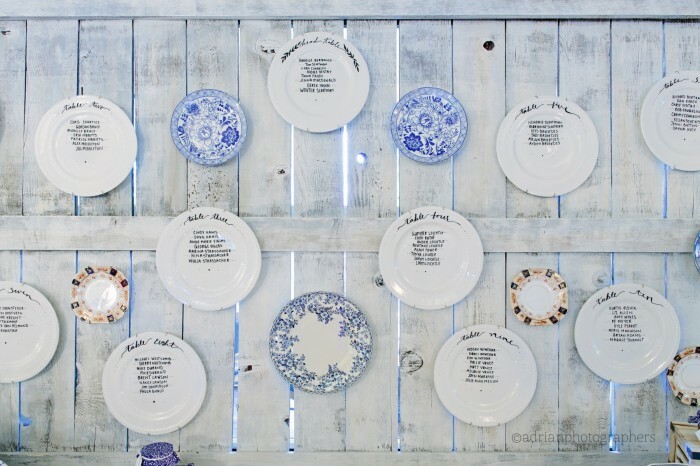 Vintage Origami put together a seating chart on plates hung from a white-washed wall. 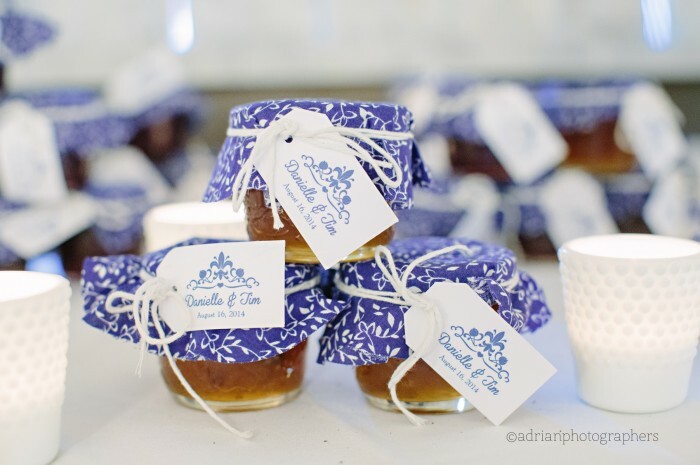 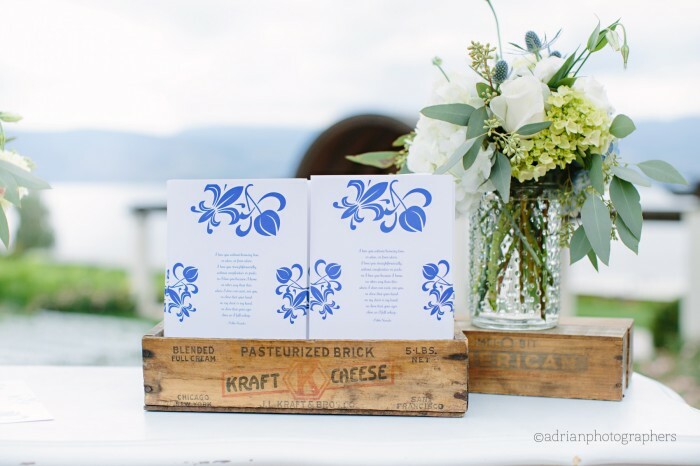 Interspersed among the plate seating charts were delft blue plates that matched the custom wedding favours – homemade jam.